[Photo Travel Post] Magnificent Green Cover of Tea Plantations (Cameron Highlands, Malaysia) - Go For Fun: Travel, Sailing, Photography - Inspiration, Tips, Adventures - Australia and The World! 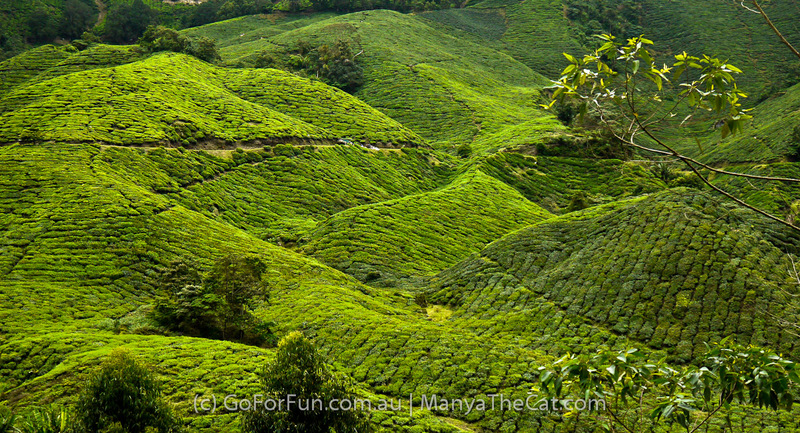 Magnificent tea plantations in Cameron Highlands, Malaysia. Like another awesome world they appear in front of you after a long way up to the mountains, where air is clear and clouds hug the earth each night. A bright green sheet covers mountains and spreads until the eye can see. I would highly recommended to visit Cameron Highlands in Malaysia! Stay for several days there and take tours to get a full insight enriched with the information about the places you will see.